A Royal Pain With A Heavenly Ending. As the 20th anniversary of Princess Diana’s death approaches, you can find many documentaries with theories of conspiracy and murder about her death. I have watched a couple of them and no matter what the “theory flavor” of the day ends up being, the end result is the same. Princess Diana dreamed of a fairy tale life and the wedding of the lifetime appeared to be just that. How many of you remember that beautiful wedding on July 29, 1981? I remember setting my alarm to get up at like 4 a.m. to watch the most-awaited ceremony in history. The 25-foot train and 10,000 pearl-beaded dress was the envy of all pre-married gals across the world. 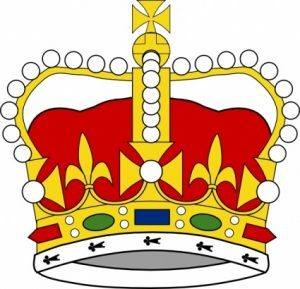 The recent documentary also gave listeners a look into the rules of being a part of the monarchy. It didn’t appear that “feelings” or “heart-felt” anything was a part of that family at the time. Diana had to abide by certain rules all the way down to scheduling an appointment with Charles if she wished to talk to him before they were married. She was required to dress a certain way, walk a certain way, say certain things, refrain from saying certain things. She was even taught the appropriate way to wave. Each morning she was given her schedule as to what her day would consist of rather than a request of what she wished to do. It became a nightmare of rules instead of a fairytale of relationships. After her death, I’m sure you remember vividly the picture of her sons walking behind the casket, solemn faces to the ground, hands folded in front of them performing their royal duty. But they had lost their mother! I wanted to scream for them! I wanted to say “enough with the rules! Let the poor boys cry!” But that’s not how royal rules worked – at least not then. It makes me think of the Old Testament versus the New Testament in the Bible. The Old Testament was full of rules and what needed to be sacrificed for particular sins. One sin may require the sacrifice of one type of animal while other sins required the sacrifice of another animal. Most of the time it was sheep and lambs that were required for sacrifice. Can you imagine taking time out of your busy scheduled to gather the required number of animals for your sin and follow all the rules of sacrifice only to turn around and have to do it all over again? You would get nothing done except sacrificing the lambs. But thank God that He gave up His only son to be the sacrificial lamb for us in the New Testament. Even God realized that all those rules were too much for the sacrificing. We still have rules to follow in the Bible: the Ten Commandments, love your neighbor, share the gospel of Christ, live for Jesus every day. But no more killing of animals and placing them on the altar. Jesus did that for us. Just one time. He was the Ultimate member of the Royal Family and He endured unbelievable pain and suffering for you and for me so that all we have to do is believe in Him, live for Him and ask Him for forgiveness when we fail and He gives it to us. No, we don’t deserve it but that’s why it’s called Grace. Let Jesus into your heart. Although no fairytale life is promised, there are no stiff rules of sacrificing lambs required. Just love, grace and a heavenly ending to live happily ever after with the King of Kings and be a member of the Royal Family forever. This entry was posted in devotional, inspirational, motivational, spiritual on August 7, 2017 by Deanna Young.